Product prices and availability are accurate as of 2019-04-21 09:15:27 EDT and are subject to change. Any price and availability information displayed on http://www.amazon.com/ at the time of purchase will apply to the purchase of this product. K-1954-0 Features: Country of Manufacture: -United States. Product Type: -Flush mechanism. Application: -Toilet. -Flush is activated by a no-touch sensor mounted inside the tank. -Powered by 4 AA batteries (included). -Works with most canister and flapper toilets. 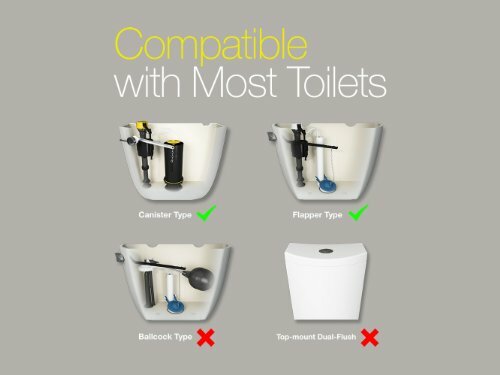 -Not compatible with dual-flush, top-mount flush, pressure-assist, or ballcock valve toilets. -Trip lever hole cover included. -When batteries are low, the unit will beep five times at half-second intervals when activated to indicate it's time to replace them. Dimensions: Overall Height - Top to Bottom: -3.13". Overall Width - Side to Side: -3.94". Overall Depth - Front to Back: -3.63". Overall Product Weight: -1.22 lbs. 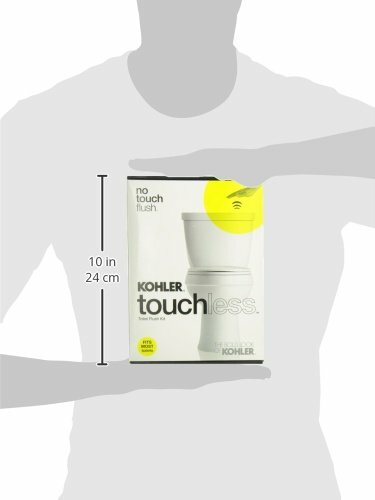 Retrofits a standard toilet to touchless flush. Flush is activated by a no-touch sensor mounted inside the tank. Works with most canister and flapper toilets. 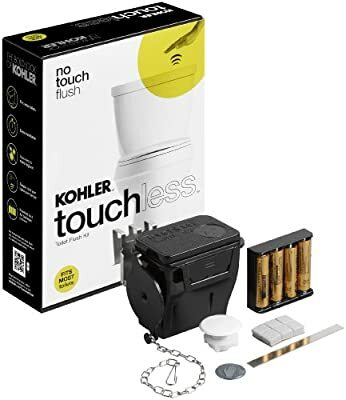 Not compatible with dual-flush, top-mount flush, pressure-assist, or ballcock valve toilets. Simple installation taking most people less than 20 minutes.